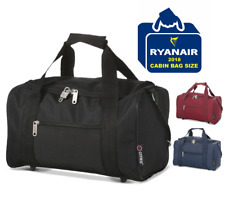 This 5 Cities Holdall bag has been designed to fit Ryanair's new free carry on allowance of 40x20x25cm as of the 1st of November 2018, ensuring you'll be able to travel through the gate with ease. 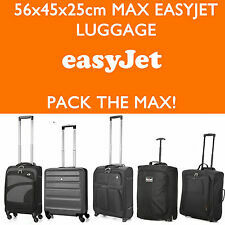 Carry the maximum on board on your next Ryanair flight! Make Supersized seem small. Clean inside and out. covered by the manufacturer's warranty or support. Get images that. Wheels: four spinner wheels. Expandable: 1.5". Handles: pull handle; carrying handle at side. Size: 20". Color: Blue. The Hoppa Range. Weight 2.08Kg with a 51L capacity. Going to a festival?. What better way to get your camping gear from your car to the site. 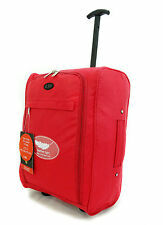 Trolley Bags. 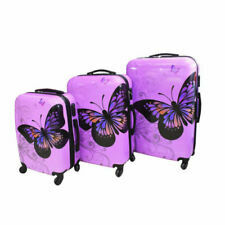 Luggage Travel Bags. Great mid mod train case. Has the full mirror inside and has been gently used. Normal signs of use but overall in great shape. NO KEY OR TRAY. 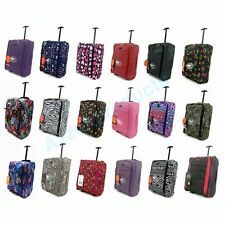 It is one of the most popular TUMI Travel pouch. It's very light and great for the travelling. TUMI - Small Kit Pouch - Trousseau Toilette PM. Material: 100% Nylon with 100% Polyester Lining. Oversized zipper pocket with RFID blocking technology, cell phone slip pocket, large slip pocket, 2 large side wall elastic slip pockets and 4 large rear wall elastic slip pockets. Carpet Bag. Lining: Tonal satin fabric. Collar bone contour allows shoulder pad to be placed closer to neck for more comfortable travel. Samsonite Tri-Fold Removable Suiter Garment Sleeve Zip Bag Gray Additional zip compartment Approx 39” x 23” Please view photos as they are part of the description Pre-owned - Excellent Condition - Thank you for looking!! Key included. Very few signs of use. White corners supports. Travelpro Adult Suitcase. 4 Spinner Wheels. Zip to Close. Multiple Pockets. London Fog Oxford II 16" Classic Satchel is the perfect easy access carry-on. Convenient pockets on the inside and outside of the bag are ideal for keeping you organized. The back of the satchel slides over your upright handle for easy carrying. The stiff liner in the bottom of the bag is scrunched on one end. Flash light makes it appear as gray but color is olive green. 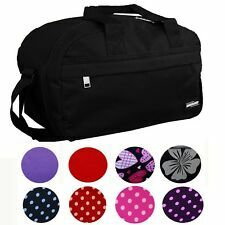 Tourister toiletry bag in black. The sides have zippers and are deep making them great for tall bottles or brushes. 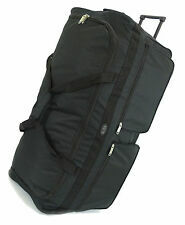 For sale this Hartmann Luggage PC4 22" Carry-on Spinner Hardside Luggage 52133 featuring a TSA approved lock. • Color: Olive green and Grey. Flaws: nothing wrong with bag. • Interior looks Clean. • Nylon exterior. Wheels: 4 spinner wheels. Color: Black. Size: 24". Weight: 24" - 7.8 lbs. 100% Pebbled Finish ABS. 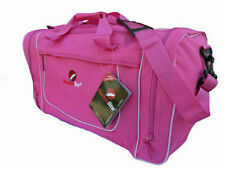 21" Rolling Duffel Bag. Adjustable detachable shoulder strap. Material: 600 denier thickened polyester fabric with EVA. Main bag entrance, zipper closure. Size: 21"(L) x 12"(H) x 11(W). New listingUnbranded Extra Large Multi Sport Duffel Bag With Dual Carry Handles 40 x 64"
Type: Multi sport duffle bag. Dual carry handles 2. We serve as an outlet for the cycling and outdoor community to turn over their no longer needed gear. We believe that no usable gear should be thrown out or neglected, it should be enjoyed by a new user. 2 SIZES AND 3 COLORS! THE ULTIMATE TRAVEL CLOSET!